"Nocturne" was the winning song in the Eurovision Song Contest 1995, performed in Norwegian by Secret Garden representing Norway. The song was performed fifth on the night, following Bosnia and Herzegovina's Davor Popovic with "Dvadeset prvi vijek" and preceding Russia's Philip Kirkorov with "Kolibelnaya dlya vulkana". At the close of voting, it had received 148 points, placing 1st in a field of 23. The song was succeeded as winner in 1996 by Eimear Quinn representing Ireland with "The Voice". It was succeeded as Norwegian representative at the 1996 Contest by Elisabeth Andreassen with "I evighet". The song is noted for its relative absence of lyrics - with only 25 words being sung in the original Norwegian version and much of the rest of the song being given over to a violin intermezzo performed by guest Irish musician Fionnuala Sherry. While no other victorious song has featured so few words, Finland would go on to place 15th in the 1998 Contest with "Aava", which contains only six words repeated throughout the song. Nocturne was not released as a single in Norway itself. The first release of the song as a single would come in a comedic cover version by country-inspired band Dusty Cowshit. 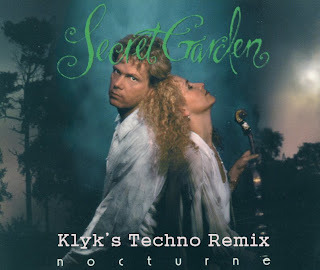 Nocturne was included in Secret Garden's first album, Songs from a Secret Garden.